inbeat publications | Horological researchers and publishers, based in Chester, Cheshire. Horological researchers and publishers, based in Chester, Cheshire. 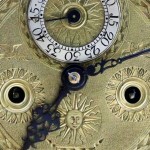 As amateur horologists, we began researching clocks and clockmaking after purchasing our first longcase clock in 1978. Click our ROYAL LIVER BUILDING page to see the hands being replaced on one of its dials and to find more information about the building and its clock. Early Clock and Watchmakers of the Blacksmiths’ Company. Click here to visit the Blacksmiths’ page for more details of this important book. Over time, our interests became focused on clocks of all types made in the Gloverstone area of Chester during the eighteenth century. The Gloverstone Clockmakers of Chester is the first book we wrote together. Please see the ‘Buy our Books’ page. 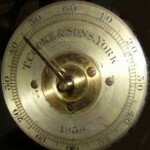 For the last fifteen years we have also been creating a photographic record of turret clocks. We have visited churches, private houses and public buildings in order to photograph their rarely seen movements. While doing so, we became fascinated by the clocks produced by JB Joyce & Co Ltd, in nearby Whitchurch, Shropshire. Following much research into archives located all over the country, we wrote Joyce of Whitchurch – Clockmakers 1690-1965. Please see the ‘Buy our Books’ page. 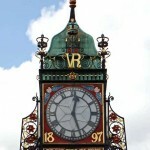 Our most recent project was researching the history and clocks of Thomas Cooke & Sons of York. We attempted to photograph every Cooke clock we could trace. Our book The Turret Clocks of T. Cooke & Sons of York. A historical perspective 1807 – 1897 – copies are available. Please see the ‘Buy our Books’ page. Copies are available of the book Lancashire Watch Company, History and Watches, which we published on behalf of our friend, John Platt. Check the Lancashire Watch Company page for details of how to order a copy. 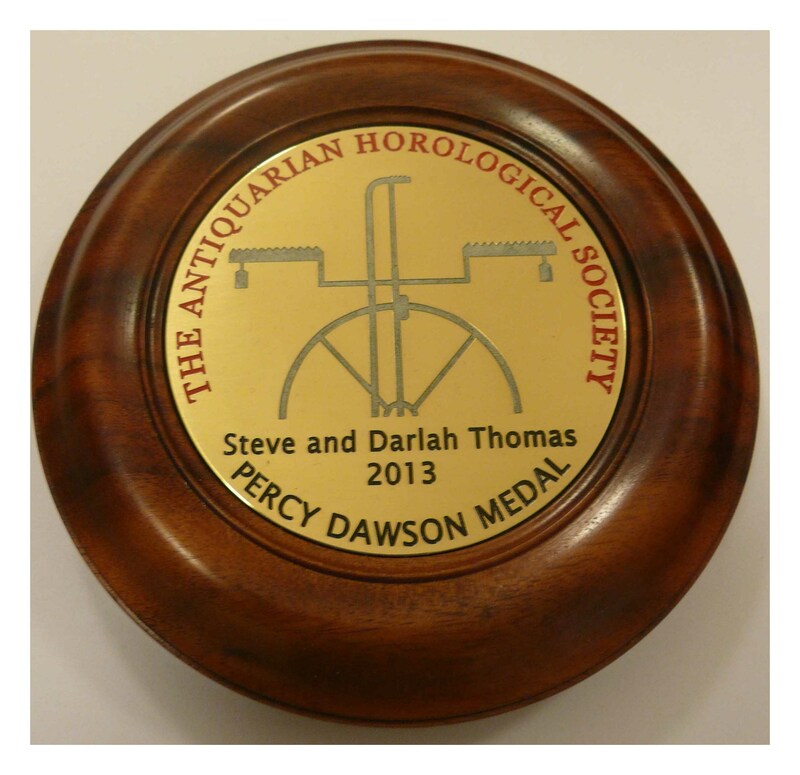 We were awarded the Percy Dawson medal by the Antiquarian Horological Society in March 2013 for an article entitled: William Leigh of Newton-le-Willows, Clockmaker 1763-1824. Available here or in Our Articles: Part 1 and Part 2. 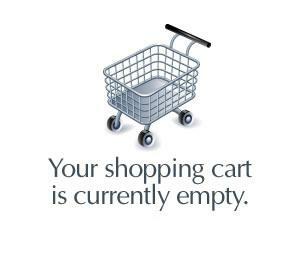 This is the website of inbeat publications by Steve and Darlah Thomas.